Wearing camouflage clothing and moving stealthily the cadets try to evade detection with techniques taught through Fieldcraft lessons. Sometimes this requires moving slowly and silently, using hand signals to communicate and other times it requires them to move quickly. 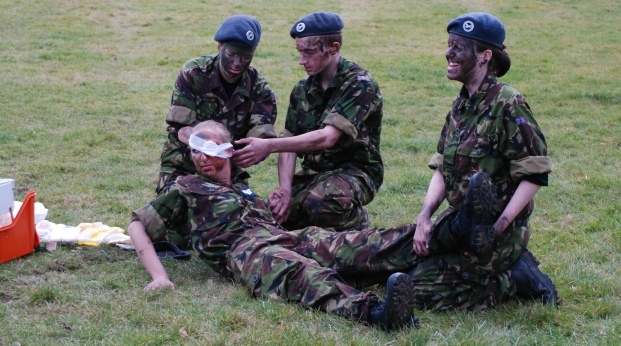 Cadets also learn how to set up shelters with camouflaged bashers and to work together as a team.